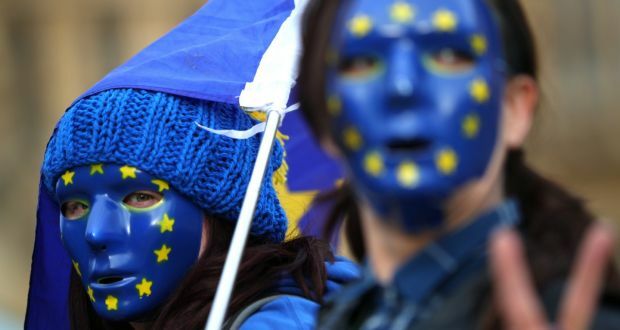 THE BEADY EYE ASK’S: CAN THE EUROPEAN UNION SURVIVE WITHOUT MAKING SOME REFORMS . Posted by bobdillon33@gmail.com in Brexit v EU - Negotiations., European Commission., European Union., Modern Day Democracy., Our Common Values., Populism., Post - truth politics., The Obvious., What needs to change in European Union. There’s no denying Brexit is going to be a serious smack in the face for the EU. The second EU straw is now the populist gale that will blow throughout next year. Surely now is the time for some reforms. Fundamental problems other than Brexit must be addressed. But what to change? There’s little consensus yet. Ever closer union, which has been an EU rallying cry for nearly 30 years, is almost “dead.” Lofty speeches are falling on deaf ears. It may be forced by politics or forced by new leadership but there is no doubt that the divisions between wealthy northern European nations and those in the South, where public finances are strained and youth unemployment remains a major problem has to be resolved. The rise of nationalist parties — on left and right — threatens to reverse nearly 70 years of integration in Europe. The Greek bailout is in danger of collapsing. There are doubts about the future of the euro. It is was unrealistic to expect radical change, when there are creditors and debtors in the EU. Because of this, it’s almost impossible for European Union to continue with a deepening integration on fiscal affairs. Here are three reforms it should and can be undertaking imminently. One > Stop the gravy train Strasburg to Brussels. Two > Make the Commission an elected body. Three > Establish legal entry points for refugees. citizens directly participate in decision-making; and representative democracy, in which the power of the people is delegated to periodically elected representatives. Where is the difficulty with the above reforms? After all is not democracy said to be in the eye of the beholder. Britain’s departure from the EU, which will be negotiated over just two years, will also distract attention from reforms. There will be pressure to wrap up Brexit talks quickly, but the EU is not known for moving fast. Europe needs to change, and fast. Either it prepares for the future, or it will become obsolete.